Situated by the ocean, this cabin is within 9 mi (15 km) of Henderson Lagoon, Scamander Beach, and Winifred Curtis Scamander Reserve. Four Mile Creek Lookout and Scamander River Golf Club are also within 12 mi (20 km). 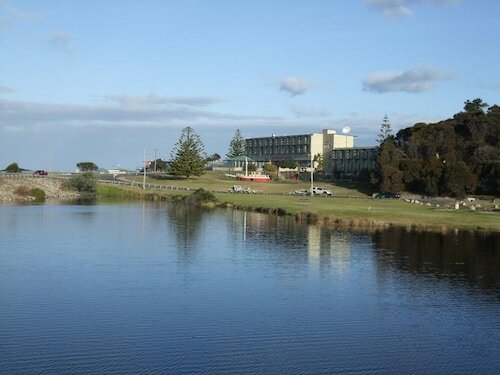 Located in the heart of St Helens, this hotel is 6.6 mi (10.6 km) from Binalong Bay and 7.4 mi (11.9 km) from Bay of Fires. Pyengana Dairy Company and St. Columba Falls are also within 25 mi (40 km). St Marys is a great place for a holiday, however, accommodation in the middle of the city is hard to come by. You're sure to have a better chance finding a place to stay at any of the 3 options within 10 kilometres. Some of the most suitable places to stay near the action are the Lumera Chalets and Saltwater Sunrise. 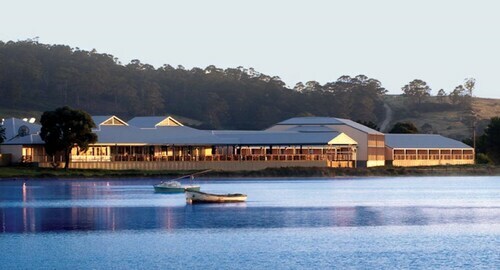 For more options, try the Tidal Waters Resort and the Bayside Inn. They are 30 kilometres and 30 kilometres respectively from the main center. 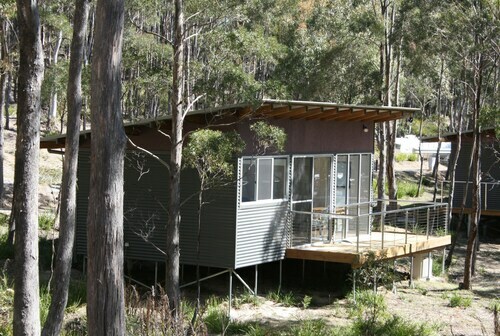 Some more alternatives are the Seymour Waves, 20 kilometres away, and the Ocean Retreat, 10 kilometres. 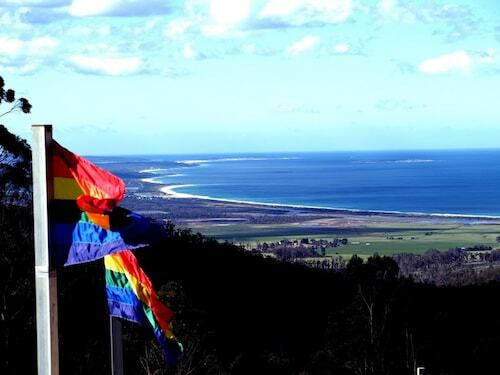 The close by cities of Scamander and Bicheno are worth checking out. 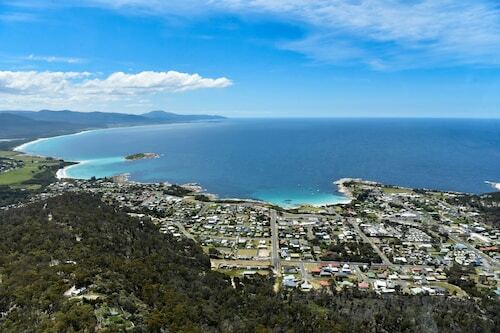 Scamander is 13 kilometres to the north of St Marys, while Bicheno is 35 kilometres to the south. 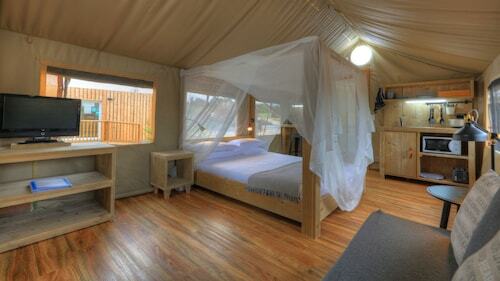 Hotels in Scamander include the Scamander Beach Shack and Blue Seas Holiday Villas. Bicheno options are the Beachfront At Bicheno and Bicheno's A+ Apartments. Why not spend a few hours rubbing shoulders with local sports obsessives at a local game? Aurora Stadium is located to the west of St Marys. The Quest Launceston Serviced Apartments and the Apartments at York Mansions are good options if you want to hit the hay nearby. Launceston Airport can be found 80 kilometres away from central downtown St Marys. Should you choose to stay nearby, you can easily book a room at the Relbia Lodge or the Arendon Cottage. How Much is a Hotel Room in St Marys? Hotels in St Marys start at AU$104 per night. Prices and availability subject to change. Additional terms may apply. Peace and quiet was amazing!! The wildlife was amazing and the total relaxing was......amazing!! !